From above the world of Cars. 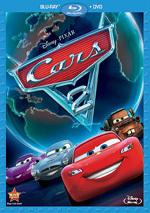 The world of Cars takes flight in Planes, Disney's high-flying animated comedy revved up with action and adventure. Join Dusty, a crop duster with sky-high dreams and a once-in-a-lifetime chance to take on the world's fastest flyers in the greatest air race ever. Dusty has a huge heart but two big problems ... he's not exactly built for speed, plus he's afraid of heights. His courage is put to the ultimate test as this unlikely hero aims higher than he ever imagined. With a little help from his friends, Dusty finds the courage to be more than he was built for—and the inspiration to soar. $22.232 million on 3702 screens. 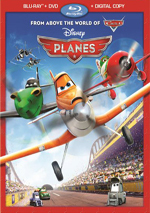 Though originally intended as a direct-to-video project, the suits at Disney must’ve liked what they saw from Planes, as they granted it an August 2013 theatrical release. No one could claim it cleaned up at the box office, but it made $88 million in the US – and more than $200 million worldwide – so the studio certainly made a good profit on their relatively modest investment. An extension of the “world of Cars”, we meet Dusty Crophopper (voiced by Dane Cook). As his name implies, Dusty’s a crop-dusting plane, though he dreams of more. He wants to race and aspires to compete in the “Wings Around the Globe Rally”. Of course, this seems like an absurd fantasy for an underpowered crop-duster, but Dusty works to make it come true. After some cajoling, veteran fighter plane Skipper (Stacy Keach) coaches Dusty and the little flyer manages to qualify for the race. We follow his improbable path, with an emphasis on his competition against Ripslinger (Roger Craig Smith) and other relationships he develops. Going into Planes, many predicted creative doom. 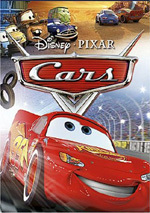 Though its connection to Cars may lead one to believe otherwise, Planes didn’t come from Pixar, so fans couldn’t count on that studio’s alleged “golden touch”. It looked like Disney took their rights to the Cars franchise and attempted to churn out cheap product to make a buck based on the popularity of the Cars series. Which may well be what inspired Planes to exist, but that doesn’t make it a bad movie. Nor does it mean that Planes becomes a good film, either. Indeed, this is one of those flicks about which I find it really tough to churn out a decent discussion. Planes seems so nondescript and forgettable that I struggle to come up with much to say. That pretty much sums it up, honestly; while Planes never does anything particularly wrong, it also fails to offer anything especially clever, charming or engaging. It gives us a relentlessly trite tale with relentlessly cliché characters. It sets up relentlessly obvious narrative elements and delivers relentlessly obvious, simple gags. At least I guess I can say it’s relentless – that should count for something. Seriously, while Planes leaves a lot to be desired, I think it provides a painless enough experience. It moves by at an acceptable pace, with only occasional scenes that drag. The movie comes with enough characters and changes in scenery that it allows us to become mildly engaged along the way. It also boasts a perfectly competent cast. We get talents like Julia Louis-Dreyfus, Cedric the Entertainer, John Cleese, and Teri Hatcher along for the ride; they might not sell any tickets, but they add a bit of depth to the proceedings. Planes does muster one fun casting twist: Val Kilmer and Anthony Edwards pop up as fighter jets. That allows them to semi-reprise their roles from Top Gun. It’s a small touch but it’s delightful. Dusty and Skipper essentially re-enact the Cars relationship between Lightning and Doc, and while Cook and Keach don’t act as good substitutes for Owen Wilson and Paul Newman, they do fine in their roles. Given how little I think of Cook as a comic, the fact that he proves to be fairly likable is a minor miracle. At no point does Planes threaten to become a Disney classic. In truth, it offers passable entertainment and not much more. Still, it’s not a bad piece of work, so parents who want something for the kids could do worse. Footnote 1: even though Pixar didn’t create Planes, John Ratzenberger – the studio’s “good luck charm” who’s appeared in all their films – pops up in a small role. Footnote 2: in Pee-Wee’s Big Adventure, Dottie was the main character’s friend and mechanic. In Planes, Dottie is the main character’s friend and mechanic. Coincidence? Planes appears in an aspect ratio of approximately 1.78:1 on this Blu-ray Disc. Across the board, the movie looked great. Colors became a strength. Planes boasted a broad, dynamic palette and the hues always seemed solid. The various tones were consistently lively and really sumptuous. Blacks looked dark and tight, and shadows demonstrated good clarity and smoothness. I felt pleased with this terrific transfer. The DTS-HD MA 7.1 soundtrack of Planes also soared. It came with a wide variety of sequences that gave us chances for vivid material, and it brought those out in a satisfying way. The movie used the many flight scenes to allow elements to zoom around the room, and quieter scenes still came with nice environmental material that seemed convincing. All of these combined in a lively manner that used the speakers to immerse us in the film. Audio quality was solid. Music appeared vivid and rich, with good highs and warm lows. Speech was consistently distinctive and natural, while effects showed great range. Those elements appeared accurate and dynamic, as they packed a strong punch. Everything worked nicely here to form a strong soundtrack. Don’t expect a ton of extras here. We open with an Exclusive Musical Scene. “Franz’s Song” runs three minutes, 18 seconds and opens with an intro from director Klay Hall and producer Traci Balthazor-Flynn. After they tell us a little about the scene, we see the production number with Dusty’s biggest fan. It’s short and cute but insubstantial. Under Klay’s Flight Plan, we get a 15-minute, 31-second piece with Hall, Balthazor-Flynn, executive producer John Lasseter, writer Jeff Howard, and animation director Sheryl Sackett. We learn about the film’s roots and development, story areas, Hall’s affinity for planes, research and accuracy. “Plan” mixes Hall’s personal experiences with production details in a reasonably satisfying manner. It turns fluffy at times, but it still offers some good notes. Two Deleted Scenes follow. After a 35-second intro from Hall and Balthazor-Flynn, we locate “Training Montage” (4:51) and “Taj Mahal” (2:43). (Note that the running times include additional lead-ins from Hall and Balthazor-Flynn.) The intros give us some good notes about why the sequences didn’t make the cut, while the actual segments are mildly interesting at best; neither offers much that would add to the tale. Two more featurettes follow. Meet the Racers goes for five minutes, 38 seconds and provides notes about El Chu, Ripslinger, Dusty and Ishani. The Dusty segment is really a quick short, while Ishani’s is a music video. The other two give us narration from the characters and tell us a little more about them. All four offer some moderate amusement. Finally, the five-minute, 53-second Top 10 Flyers includes narration from sports host Colin Cowherd. He tells us about the top 10 real-life – ie, non-cartoon – flyers of all-time. It’s a quick little educational piece; it doesn’t tell us a ton, but it’s a good entry point for kids. The disc opens with ads for Planes: Fire & Rescue, Frozen and The Jungle Book. Sneak Peeks adds promos for the Planes video game, the Little Mermaid sequels, Iron Man and Hulk: Heroes United, Mary Poppins and The Pirate Fairy. No trailer for Planes appears here. A second disc delivers a DVD copy of Planes. It includes “Klay’s Flight Plan” and “Meet the Racers” but omits any of the other extras. No one will pick Planes as an animated classic, but it provides acceptable family fare. While it excels in no way, it delivers just enough entertainment to keep us with it across its 91 minutes. The Blu-ray boasts terrific picture and audio along with minor supplements. Nothing about Planes dazzles, but it’s a watchable little cartoon adventure.